The former space of Quiote Mexican Restaurant is sticking to its Latin roots with its new restaurant. Tavo’s Latin Fusion (5814 W. Bluemound Rd.) opened yesterday, and promises an array of Mexican and Latin American Dishes. Gustavo Camacho, a veteran of the service industry, has partnered with his son, Anthony Gallarday, to run the restaurant. The current menu features breakfast entrees including chilaquiles ($9.99) and huevos rancheros ($7.99), breakfast burritos and huevos con chorizo ($7.99). Entrees include chicken served with mole rojo or verde ($16.99), fajitas ($14.99-16.99) and pineapple pastor express featuring a pineapple filled with seasoned al pastor and served with a side of tortillas ($19.99). Along with a traditional taco plate ($12.99), there are also specialty tacos including ribeye tacos featuring 8 ounces of steak with house green sauce ($17.99), shrimp tacos with house tequila sauce($15.99) and vegetable tacos with cheese, sour cream and greens ($12.99). All dinner entrees are served with rice and beans. Hours of operation are 9 a.m. to 10:30 p.m. Monday through Thursday, 9 a.m. to 11 p.m. Friday and Saturday, and 9 a.m. to 9 p.m. Sunday. International chain Burgerim plans to open its first Wisconsin location at 1001 N. Old World Third St., potentially by the end of summer. Burgerim serves 2.8-ounce patties available individually or in dues, trios or party boxes that include 16 burgers. 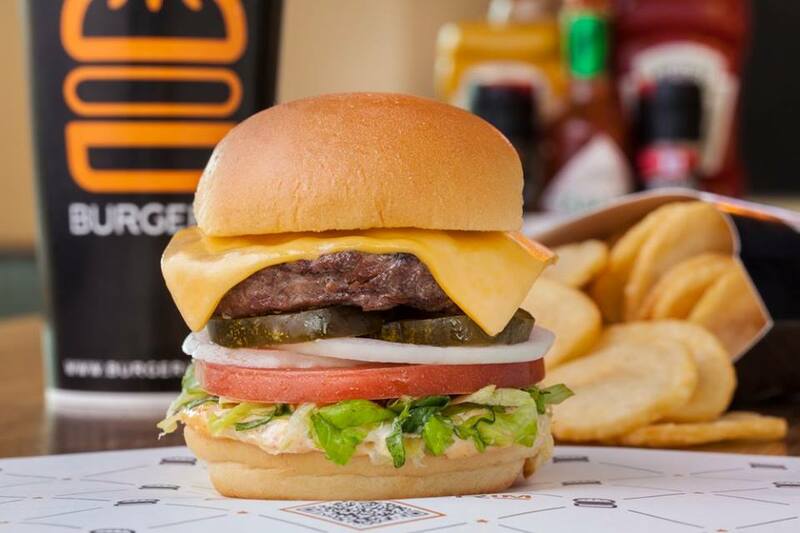 The business’ founder, Donna Tuchner, is native to Israel and opened Burgerim’s first location in Tel Aviv (the name is Hebrew for “many burgers”). The company has since been purchased and franchised by Oren Loni, and now has 200 locations in the United States, the United Kingdom, Spain, Romania and Russia. The core idea behind Burgerim is variety. Guests have a choice of 11 proteins for their burgers including beef, dry-aged beef, Wagyu beef, merguez, turkey, lamb, chicken, salmon, veggie, Spanish beef and falafel. From there, optional toppings include a choice of condiments (house sauce, mustard, ketchup, mayo or barbecue sauce) cheese (Swiss, cheddar, blue or pepper jack), mixed greens, sauteed mushrooms, jalapenos, lettuce, grilled onions, bacon, avocado or a fried egg. Pizano’s Pizza & Pasta (1150 N. Water St.) is expected to open its first Wisconsin location in June, just in time for Summerfest. The Chicago-based company is owned by Rudy Malnati Jr., who originally had plans to debut in 2015 and then… in 2016. While the exact reason for these delays is unknown, the construction and size of the facility have been named as partial culprits. Rudy Malnati Jr. opened the first Pizano’s location in 1991 to carry on his father’s legacy. Rudy Malnati Sr. was passionate about traditional Italian food, and first started serving deep dish pizza when his restaurant, Pizzeria Uno, opened in Chicago in 1943. Pizzano’s currently has six other locations: five in Chicago and one in Glenview, Illinois. The northwest side has a new dining option for fish and seafood. Captain D’s is now open at 7320 Good Hope Rd., according to a tweet from 18th District Supervisor Deanna Alexander. The restaurant is the first in Wisconsin for the fast casual chain, which has a total of 533 locations, we kid you not, in the United States. Congratulations to @CaptainDs on 73rd and Good Hope, now officially open! Great to see new investments in #Milwaukee! The opening is part of the small renaissance of the city’s 9th District reported by the Neighborhood News Service in January. Irie Palace (8762 N. Granville Rd.) has also opened in the district, and Lush Gourmet Popcorn was expected to eventually open at 8430 W. Brown Deer Rd. as well. Captain D’s is open 6:30 a.m. to 10 p.m. Sunday through Thursday, and 6:30 a.m. to 11 p.m. Friday and Saturday. Food Hall Slated for Farwell Ave. The space at 2238 N. Farwell Ave. has changed hands multiple times since its original occupant, Oriental Drugs, closed in 1995. Among the former occupants are Twisted Fork, Replay Sports Bar and most recently Rosatti’s, which closed last March. Now, another concept has targeted the East Side building. A food hall named Crossroads Collective is expected to open in October, and will start interviewing vendors within the next few weeks. Crossroads Collective will be leasing from New Land Enterprises, which also rents spaces to Axe MKE and Sip & Purr. New Land Enterprises Director Tim Gokhman started pursuing the idea of a food hall after difficulties finding a suitable restaurant partner. Drawing inspiration from other food halls in Chicago, New York and Seattle, Gokhman also brought in Justin Carlisle and Dan Frame to consult through their new business, Cordial Consulting. East Side Business Improvement District Executive Director Kristin Godfrey also advised on the project. The concept of a food hall is comparable to that of markets, like Milwaukee’s own Public Market. The difference is that instead of being owned by one company or entity, a food hall incorporates a number of vendors that operate individually. Crossroads itself will have about six or seven local vendors as well as a main bar. A secretive space within the food hall will house a speakeasy, accessible from Black Cat Alley. The new brewpub at 1130 N. 9th St. has been dubbed Glass & Griddle, and is expected to open Aug. 15. The eatery is part of the new Milwaukee Brewing Co. facility that will be taking over the former Pabst Brewing Co. location. The plan is to have Glass & Griddle open by the Harley-Davidson anniversary party on Aug. 29, according to owner Scott Lurie of F Street Group. The restaurant will be operated by Sarah and Zak Baker, who also operate Pizza Man. Glass & Griddle will serve all-day breakfast and will be open the entire day as well. The restaurant is in the center of the massive building, on the first floor below a glassed projection. Glass & Griddle is around 10,000 square feet, Lurie said, with a room for private events that’s 3,800 square feet. Milwaukee Brewing will be in 46,000 square feet to the south, where truck bays are visible; to the north of the restaurant will be 60,700 square feet of offices. Following the announcement of a second location in February, it’s time for Milwaukee to become reacquainted with Grate Mac and Cheese. The Greenfield location will officially open on May 24 at the 84South development (9125 Sura Lane). The fast casual restaurant focuses on “modern” mac and cheese dishes made from Wisconsin cheese, butter and milk. The opening will be marked with a new flavor, “Cheesy Twice Baked Potato,” which will be offered at both locations. Other dishes include “Chicken Bacon Jalapeno Ranch,” “Mexican Street Corn” and “BBQ Pork.” Grate is also the pioneer of mac and cheese restaurants in using a Woodstone oven, allowing diners to view their dish as its being cooked. Since opening its first restaurant last year, Grate has launched online ordering at www.gratemac.com, catering services of any size for delivery or pickup, Grate and Bake (a take-and-bake menu option), rotating seasonal mac and cheese flavors, and warm breadsticks with house-made herb butter. The new restaurant is big, encompassing 2,600 square feet, and will employ roughly 35 people. Yes, Mac and Cheese is a growth industry. Grate will be open 10:30 a.m. to 9 p.m. daily. Ristorante Bartolotta (7616 W. State St.) closed on May 21 in order to make multiple upgrades. The renovations come at the same time as the restaurant’s 25th anniversary, and will include a new kitchen, dining room upgrades and a larger menu. Ristorante Bartolotta made its debut in 1993 and is the first establishment opened by The Bartolotta Restaurants, which currently owns and operates 16 restaurants and catering facilities throughout the Milwaukee area. Ristorante Bartolotta is expected to re-open in mid-June. Hospitality Democracy is bidding farewell to two of its original co-founders. Following their departure, Joe and Angie Sorge have founded SideWork, a new hospitality consulting and operations firm. The Sorges founded Hospitality Democracy Alongside Marcus Investments. The restaurant group owns AJ Bombers, Smoke Shack, Holey Moley Doughnuts, Onesto, Swig, and the Third Ward’s new Blue Bat Kitchen. The Burger King located at 2045 E. North Ave. has closed. While the location still appears in a Google search, the number provided is no longer in service. The location is also absent from the list of Milwaukee area locations provided on Burger King’s website. Who knew there was a Burger King beneath the waves of Lake Michigan, a few blocks offshore? Pointing out typos always leads to typos. I meant what appeared a while ago – 22045 E. North Ave.! All great news. Especially the part about Burger King.